The sun is still peeking through the forecast, but fall is definitely in the air. 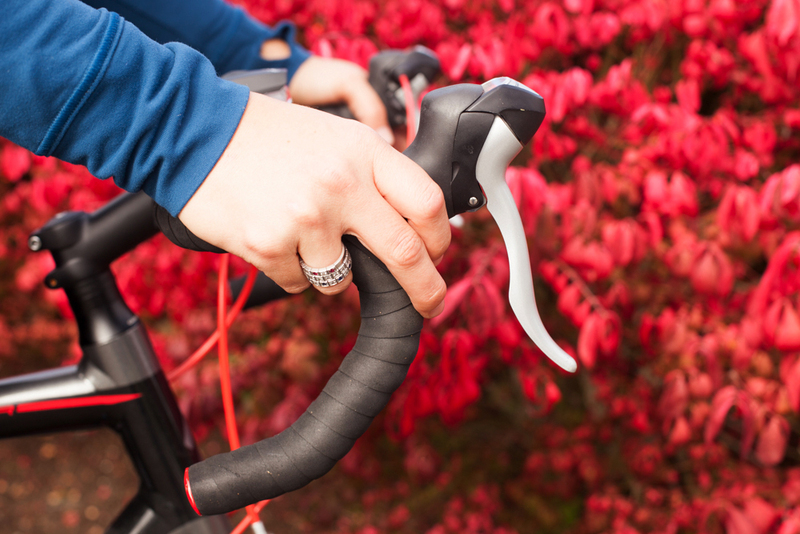 What better way to enjoy the crisp air and gorgeous fall leaves than by taking a weekend bike ride? Check those tires, bundle up and head out on one of our favorite fall road biking routes for enjoying the glorious colors in the Northwest. Right now, before snow closes the North Cascades Highway, is the perfect time to plan a trip to Winthrop and the greater Methow Valley. You’ll be in for a real treat as you ride through the golden colors of the changing season. Our favorite ride in the area goes from Winthrop to Carlton — a relatively flat, 43-mile ride roundtrip. Explore the area on backcountry roads as you make your way first to Twisp on East Country Road. Then cross over Highway 20 to Twisp-Carlton Road and cruise through beautiful farmland before you make it to Carlton and turn around. For directions and a printable map, download this guide. For three other options in this dazzling area, check out this Winthrop Washington road biking guide. 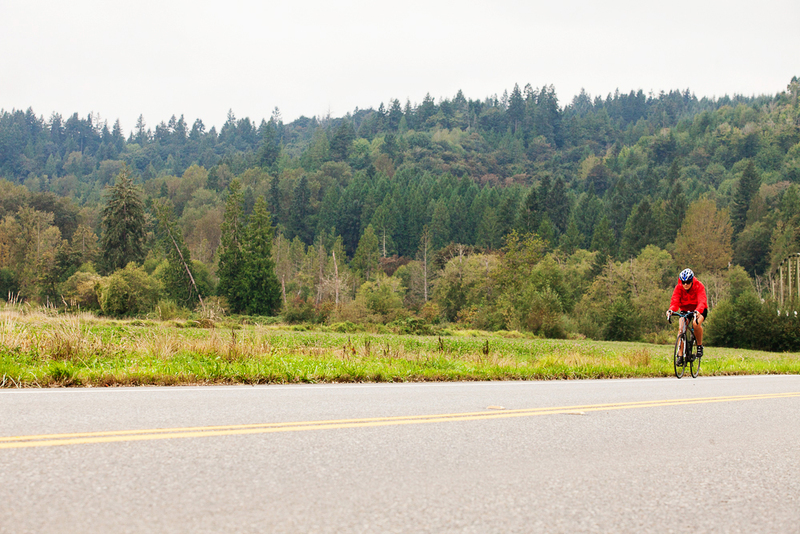 An easy day trip from Seattle, Fall City is a must-visit for road bikers. Corn fields, pumpkin patches and scarecrows make this a quintessential fall ride. 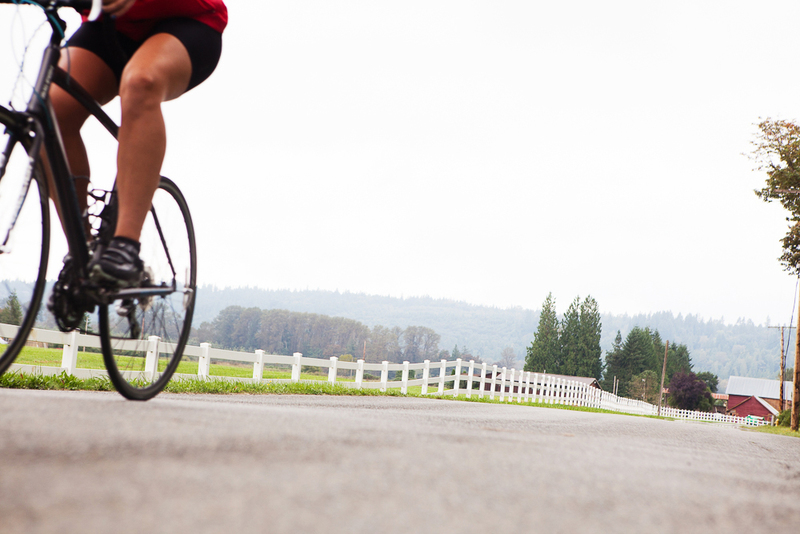 For a flat, 22-mile route exploring the area, download this handy map from Sunset Magazine. Avoid busy Snoqualmie traffic and start your ride in Fall City (the easier of the two routes on the map). You’ll ride along country back roads and finish up at Remlingler Farms. Check out their U-pick pumpkin fields before heading back the way you came. Just outside of Bellingham, Chuckanut Drive is one of Washington’s most scenic roads any time of year — but it reaches a whole new level in the fall. Start the ride in Burlington and cruise 15 miles up to Larrabee State Park before you turn around. You’ll cruise alongside bluffs with views of the San Juans as you take in the changing colors. Be prepared to climb up and coast down some hills — and you’re sharing the road with cars, so be especially mindful of traffic as you go. 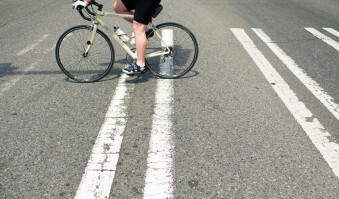 Oregon loves cyclists so much they’ve designated certain routes as scenic bikeways (with signs to guide you!). Three of these scenic byways leave from Sisters, a Western-themed town just north of Bend. If you’re up for a challenge, head to McKenzie Pass, known as one of the most spectacular rides in the state. It’s a long and challenging ride — 80 miles, with elevation — but it takes you through awesome lava flows, stunning mountain peaks and windy forested roads. Other routes to check out include the Sisters to Smith Rock ride as well as the Metolius River Loops. Connecting Portland to Hood River, the Columbia River Highway is a scenic route along the Columbia River Gorge passing by towering waterfalls, historic bridges and quaint towns. A great starting ride is this one from Troutdale heading east to Cascade Locks — a 29-mile route. You’ll pass by no less than six different waterfalls, one of which is the mighty Multnomah Falls, the tallest waterfall in Oregon. That’s far from your only option in that area, though. 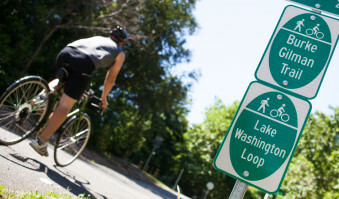 So if you’re heading that way, make sure to download this comprehensive Columbia River Highway bike map before you go.